Deal Categories: Pre Workout Products.Stores: Suppz.com. 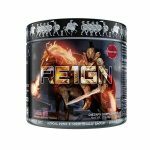 The much anticipated Olympus Labs ‘RE1GN’ pre-workout is finally out and Suppz is following up on their pre-launch BOGO FREE deal with a BOGO FREE. You can now get 2 tubs for $39.99. You can use our coupon ‘FDN6′ and to get the price down to $37.60 during checkout. This is the best total price we saw by at least $22. Available in flavor: Pandora’s Potion (Fuzzy Peach). Black Magic Supply 20% OFF Coupon BZRK - $39.99!! DPS is offering an extra 20% OFF the ENTIRE Black Magic Supply product line which is already reduced! The price for the BRZRK Pre-Workout drops from $55 to $49.99 to $39.99 after coupon. Rage Nutrition Coupon - 25% OFF Validated Today! Deal Categories: Pre Workout Products.Stores: Rage Nutrition. 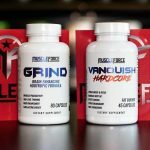 One of the strongest pre workouts of 2018 – RAGE NUTRITION FORMULA-X / Immortal Coupon! Use coupon code ‘FDN25’ during checkout to save 25% OFF the retail price!! Check out our full review of this monster below!